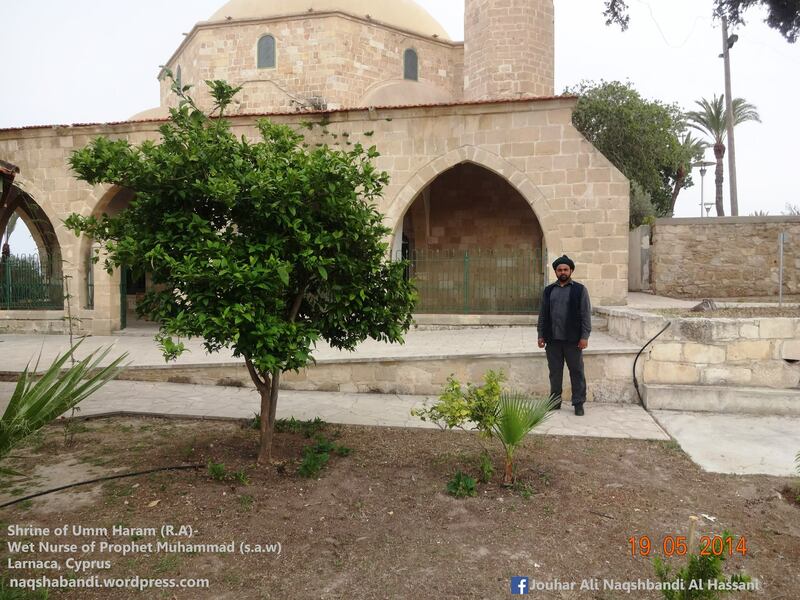 Q&A What is the most special aspect about Naqshbandi Tariqah for you? Question: when did you become a Naqshbandi? and what is the most special aspect about this order for you? Sufi Ways in General (all authentic Sufi Ways) will connect a Person to the Prophets ,Truthful and Righteous Servants of God as stated in Quran 4:69 And whoever obeys Allah and the Messenger – those will be with the ones upon whom Allah has bestowed favor of the prophets, the steadfast affirmers of truth, the martyrs and the righteous. And excellent are those as companions. All Sufi Orders are Originated from Imam Ali Ibn Abi Talib (R.A) and Naqshbandi Sufi Order traces it’s foremost lineage from Hazret Abu Bakar Siddiq (R.A) the foremost companion of Prophet Muhammad (Peace and blessings of Allah be upon him). Though Naqshbandi way is from Hazret Abu Bakar (R.A), it takes it’s lineage also from the line of the Imams of Ahlul Bayth ,Hazret Imam Jafar Sadiq (R.A), who is the grand son of Imam Ali Ibn Abi Talib (R.A) and Abu Bakar Siddiq (R.A) and one of the great Imams in the line of 12 Imams and a teacher to Imam Abu Hanifa (R.A) and other main figures in the time of Salaf Salih. Also it is the Path that alone make it possible to bring a divine relationship and a Spiritual Journey to the Divine Presence. 108:3 Indeed, your enemy(Opponent) is the one cut off. Sura Noor 24:63 (Do) not make (the) calling (of) the Messenger among you as (the) call (of) some of you (to) others. Verily, Allah knows those who slip away among you under shelter. So let beware those who oppose [from] his orders lest befalls them a trial or befalls them a punishment painful. “Cut off “has two meaning: One is he is cut off from a lasting legitimate progeny and he is cut off from divine and from the company of Prophets and Saints. 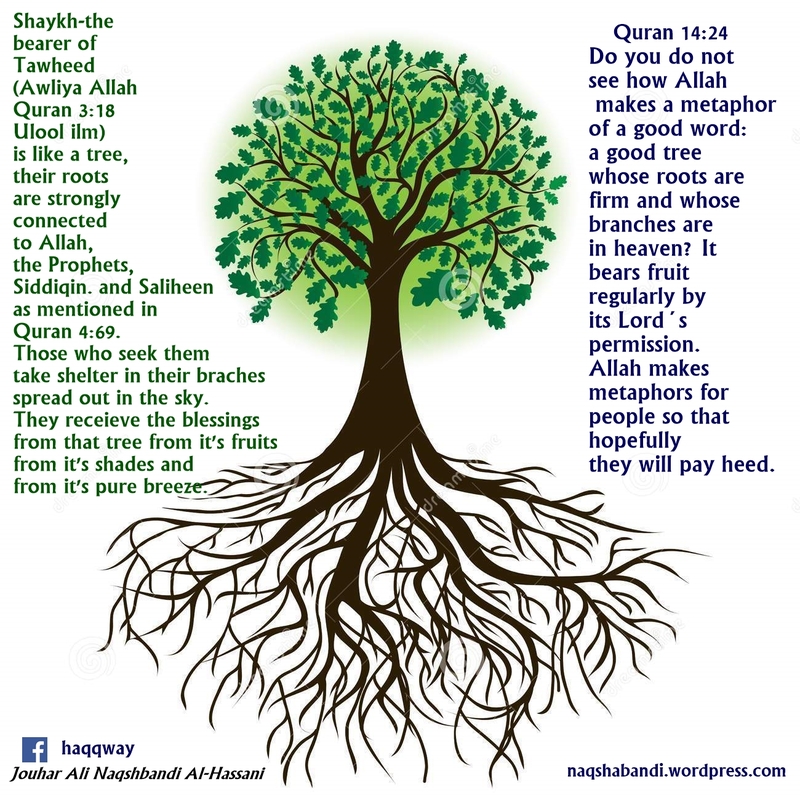 Which means he followed the evil beliefs and hatred (enmity) to some whom God and His Messenger (alaihiswalathu wa salam) asked to keep the ties with, so they cut off from the rope of Allah-The Quran and The Ahlul Bayth (As stated in Sahih Muslim and Jami At-Tirmidhi). Allah says in Quran 2:27 Those who break Allah’s Covenant after it is ratified, and who sunder what Allah Has ordered to be joined, and do mischief on earth: These cause loss (only) to themselves. The opponent of Prophet Muhammad (S.a.W) means: Those who did not follow him sincerely and did not accept His Message completely with whole heart. Which is to follow the teachings of Prophet (Peace be upon him) which is Quran and Sunnah. To follow Imams (as stated in Quran 4:59), to be with main body of Muslims and their leaders (as stated in hadith), to follow pious ahlul bayt, to love and respect all companions and ahlul bayth, to love God and Prophet Muhammad (alaihiswalathu wa salam) more than anything else. So one who do not travel on the Sufi Path and connect his heart with the Prophetic heirs , he is also cut off from receiving pure wisdom. Prophet (alaihiswalathu wa salam) says: “I am the House of Wisdom and Ali (Ibn Abi Talib R.A) is it’s door”. For this reason all Spiritual Paths are taken it’s lineage from Hazret Imam Ali (R.A) and from his descendants from the line of 12 Imams. So the “Opponent of Prophet (S.a.w) who is cut off(Sura Kausar 108 verse 3) from Pure Wisdom, Spiritual relationship with Allah and His Messenger (alaihiswalathu wa salam), the rope of Allah are those who do not follow the spiritual ways (Sufi tariqahs) of ahlul bayth.Since Prophet alaihiswalathu wa salam says: “They (Quran and Ahlul Bayth) shall not separate until they meet me at hawd”, those who cut off from the spiritual relationship with Imams of ahlul bayt are also cut off from Quran. This is enough evidence for anyone to understand. 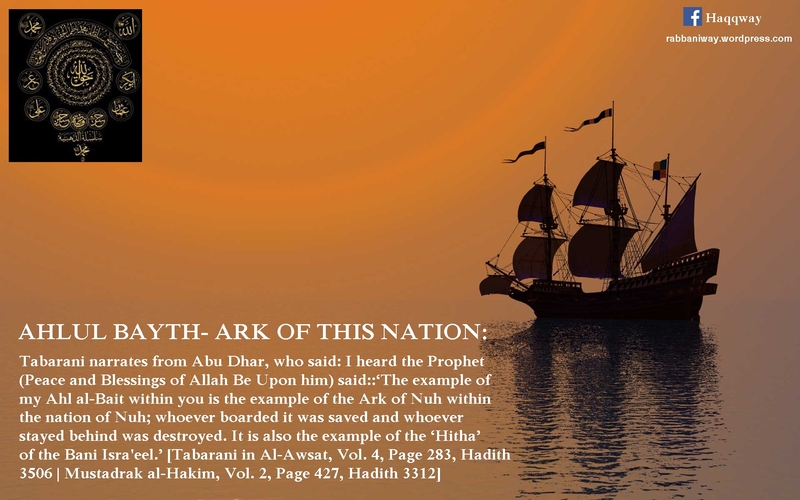 Because one who abandon the command and advise of Prophet alaihiswalathu wa salam, is the one who is cut off from the Prophet (alaihiswalathu wa salam) and Allah. The above Hadith is clear proof that Prophet (alaihiswalathu wa salam) talking about the pious Sufi Shaykhs and Awliya Allah, through their death, the knowledge and wisdom will be taken away. We can see Prophet alaihiswalathu wa salam is not talking about book knowledge., but it’s about spiritual wisdom. Because we are in a time where there is a flood of books and universities and millions of people becoming a so called “Scholar” through a book study at a college!. Books, Internet, Information technology age, Virtual Books , Online Libraries etc are here today!. Since Al-Harj (Killing) is already here, then it is sure that the death of pious Awliya Allah in this times signifies this hadith. On the other side the Book knowledge is spreading,many so called Islamic publishers , books , Television channels, Universities , Islamic institutions that are in partnership with unbelievers lawless institutions etc granting diplomas and degrees for the religion of Allah!, a total mess that is building among Muslims! So think about it and wake up! Some people claim they follow hazret Imam Ali (R.A) and Imams of Ahlul Bayth, but they are not reaching to them beyond their claims. Because they are cut off from the rope due to their hatred towards some of the companions and they do not have a spiritual master to show them the truth. Some people claim they are guided by Jesus Christ (A.S) or holy spirit but they are also unable to find a way to the Divine Presence and experiencing the Spiritual elevations and truth. They say we have been redeemed by the redeemer. I say Jesus Christ (A.S) is not redeemed for the sins, if He had redeemed, then God Almighty to establish a “Judgement Day” is baseless. The redeemer of the Judgement day is the Spirit of the Truth-Prophet Muhammad alaihiswalathu wa salam. Jesus Christ (A.S) was a Prophet and Servant of God, and before and after him(only last Prophet after him there are Prophets. Acts 3:13 The God of Abraham, Isaac and Jacob, the God of our fathers, has glorified his servant Jesus. You handed him over to be killed, and you disowned him before Pilate, though he had decided to let him go. Though we are not agreeing completely with the Biblical wordings , yet it is quoted for those who want a proof from it! In another hadith it is said: “The believer sees with the Light of Allah”Real Salaf Says: Narrated AbudDarda’: Kathir ibn Qays said: I was sitting with AbudDarda’ in the mosque of Damascus. A man came to him and said: AbudDarda, I have come to you from the town of the Apostle of Allah (peace_be_upon_him) for a tradition that I have heard you relate from the Apostle of Allah (peace_be_upon_him). I have come for no other purpose. He said: I heard the Apostle of Allah (peace_be_upon_him) say: If anyone travels on a road in search of knowledge, Allah will cause him to travel on one of the roads of Paradise. The angels will lower their wings in their great pleasure with one who seeks knowledge, the inhabitants of the heavens and the Earth and the fish in the deep waters will ask forgiveness for the learned man. The superiority of the learned man over the devout is like that of the moon, on the night when it is full, over the rest of the stars. The learned are the heirs of the Prophets, and the Prophets leave neither dinar nor dirham, leaving only knowledge, and he who takes it takes an abundant portion. (Sunan Abu Dawood, Kitab Al Ilm)According to the Salaf, even fish and inhabitants of the earth ask forgiveness for the pious scholars (Awliya Allah). The Prophet (saw) taught Spirituality before teaching people the laws and jurisprudence. So one must look at Islam through the lens of Ihsan, prophet alaihiswalathu wa salam says: “Beware the gaze of the believer for he sees with the light of Allah”. It is through the Lens of a purified soul (nafs muthma’inna) Islam and sufism should be looked at.others must learn from such sanctified Scholars (Shaykhs), heirs of the Prophets (Hadith)! Before knowing any Sufi Way or Tariqah, I was merely following Shafi school of Jurisprudence from the Sunni Islam. I did not know much about the Sufism or whether Sufism and Tariqah are same or not. I am talking about the ages between 15-20 of my life. The Shafi Scholars in Kerala were not actively preaching the necessity of Tariqah in Sunni Islam, and the sectarianism in Sunnis, the financial exploitation at dergahs etc had distanced me from Sunni groups in that times. How can someone be pure sunni without studying Tasawwuf under a Shaykh?. So that’s it. The people who just take tasawwuf and the people just take Shari’ah are not much different. Both group taking a part of the religion of Allah and rejecting the rest. So the Haqq and Bathil is clear! The Most special aspect is this way for me is, even if someone offer me whole world and the authority over it to leave this path for any other path. I do not accept that offers.Because what I have received in this way is Priceless. It is more worthy and precious, even if someone put whole wealth in this world in front of me to buy it from me, I shall not give. That much value it has got that I received from this way. I do not give up this way even if someone offer me a palace in the heaven too.